THE PEOPLE WHO SET NEW YORK TALKING SEVEN YEARS AGO. A most extraordinary meeting was held in a private residence up town last night, at which a small group of gentlemen gathered together for the purpose of reviving the work of the Theosophical Society, started in New York nearly a decade ago, by Madame Blavatsky. . . . The nucleus has been preserved, and some ten days ago word was received by several of the initiates that a certain priest would be in New York, yesterday, and would expect to meet a select few at the place mentioned last evening. General Abner A. Doubleday presided, William Q. Judge was secretary. There were a boss printer, a somewhat noted journalist, a professional accountant, a retired merchant, a student or two and others of less note were present. General Doubleday introduced the Hindoo, not by name, but as the messenger of the Society. Some of those present recognized him as the man who was present at the cremation of the Baron de Palm* and at the later ceremony of casting the Baron’s ashes into the sea. He was attired with Oriental magnificence, strangely contrasting with the business suits of the others. On his breast gleamed a jewel wrought with the mystic word ‘OM.’ He spoke very little, but after announcing that the time had come for the active work of the New York Branch of the Theosophists, he read in Hindoostanee [Note: It was probably more likely in Sanskrit] a short passage from the Mahabbarat [i.e. the Mahabharata] and gave to the acting President (General Doubleday) a copy of the Bhagavad Gita. . . .
After delivering his message and the book, the Hindoo disappeared. No one followed him or asked a question. Immediately after this event the ones present organized the new Society and elected their officers and a second meeting was announced for the following Monday, Dec. 10th..
Reproduced from “The Judge Case: A Conspiracy Which Ruined the Theosophical CAUSE” published in 2004 by Ernest Pelletier. * This was the first cremation in the USA and occurred on 6th December 1876. H.P. Blavatsky’s diary entry for 20th November 1878 reads: “Held the Vedic ceremony of casting the Baron de Palm’s ashes into the sea. A highly interesting episode. Our mysterious Hindoo brother [Here follows the symbol of the three points of a triangle which indicates a high Initiate] was present with his helper.” A related article on this site is The Benefits of Cremation. Other related articles to the above are Who was William Quan Judge?, The Welcome Influence of William Q. 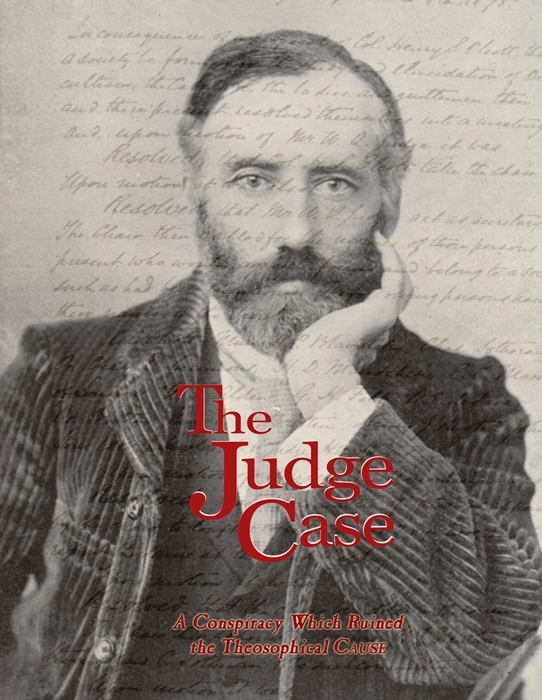 Judge, In Memory of William Q. Judge, The Theosophy of the Bhagavad Gita, 12 Things Theosophy Teaches, Theosophy: The Ancient Wisdom, and The Four Branches of the Theosophical Movement.